while I held his hand. Daniel has escaped Nazi Germany with nothing but a desperate dream that he might one day find his parents again. But that golden land called New York has turned away the ship full of refugees, and Daniel finds himself in Cuba. As the tropical island begins to work its magic on him, the young refugee befriends a local girl with some painful secrets of her own. 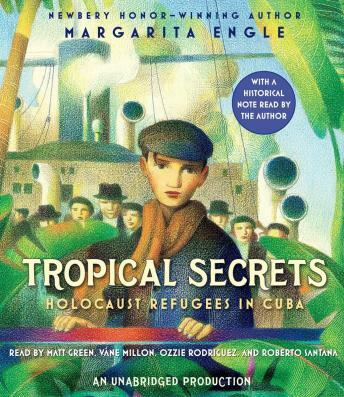 Yet even in Cuba, the Nazi darkness is never far away. . . .
At once deeply personal and utterly universal, Tropical Secrets is a stunning new history in verse from award-winning poet Margarita Engle.